Imagine what you can capture with these options! With Open, your guests can walk the red carpet to strike a pose in front of a customized backdrop of your choosing to take glamorous, high-quality digital photos like a true A-list celebrity. ShutterPod puts the fun of taking photos out in the open adding a whole new level of entertainment to your event. Our new, sleek design was made to look great in any space and you can choose your custom backdrop to pose in front of. You can’t ever go wrong with the classic ShutterBooth. It looks great anywhere and can be completely customized to fit your event’s style or theme. 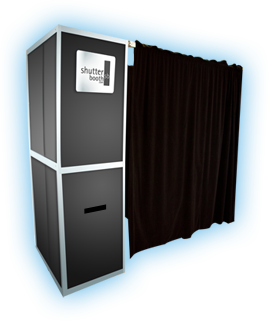 High quality photo printing capabilities are what helped make ShutterBooth the best of its kind. 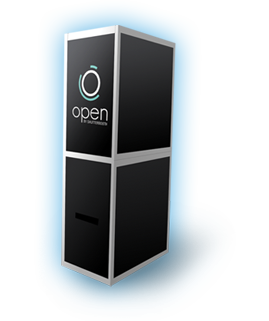 Setting up a Kisok with Open, a ShutterPod or a ShutterBooth means your guests won’t have to wait to edit or have their photo taken. 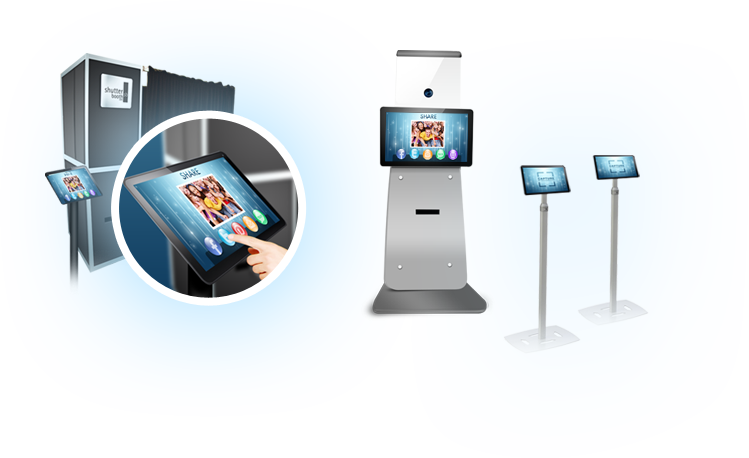 The kiosk uses an external tablet/monitor to give you an additional touchscreen where Capture photos can be edited while others are using the booth touchscreen to have a photo taken. Or, both touchscreens can be used to edit different photos at the same time! 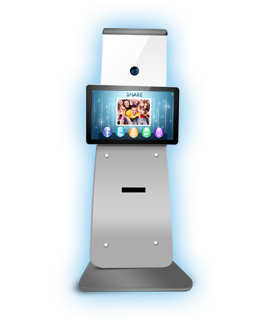 The Kiosk touchscreen even lets your guests print and share their photos. Take a stand against something—like a unique backdrop! Have your guests take their photos in front of a backdrop specific to your event. 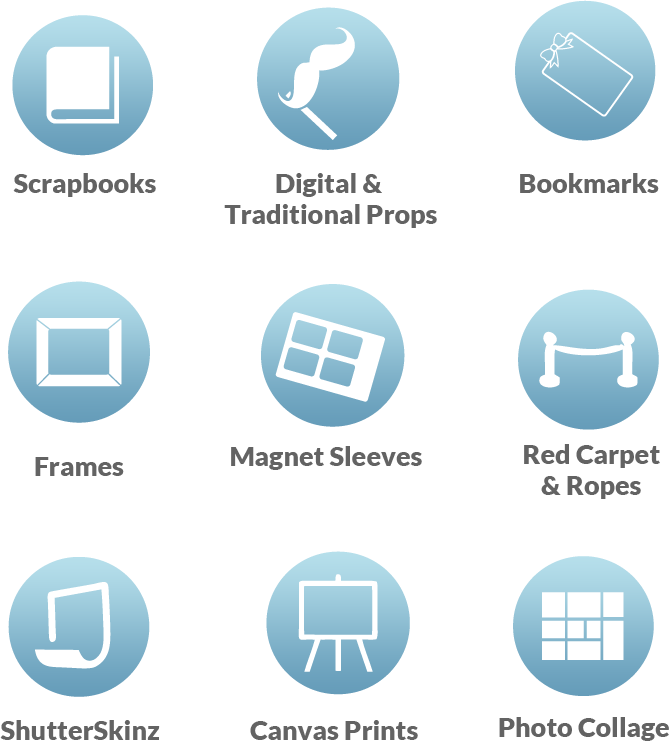 Our professional designers will work with you to customize one that’s right for you. Corporate logos, emblems and monograms can all be incorporated. The possibilities are endless. All of our backdrops are made with non-glare vinyl or cloth, replicating the style and quality of major Hollywood red carpet premieres and media events. With Capture, style is what it’s all about. 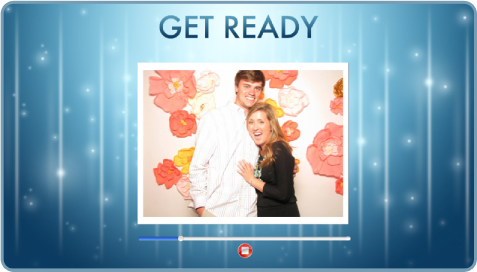 And we have plenty of photo layout styles so you can pick the best one for your event. The entire look of your prints can be designed to your specifications because there are no limits to how the photos or logos (even multiple logos!) can be positioned. What’s more is that you can choose to have the photos in color, black and white, or sepia. You can also have your event’s logo included on each photo. We’ll even help you create that logo to match your personal and event’s style. 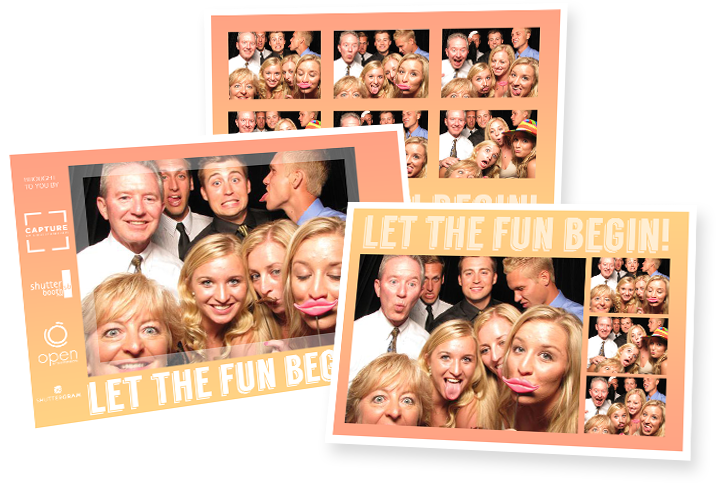 You’ve certainly seen the smorgasbord of props ShutterBooth offers. With Capture, those props become digital, which means that you can choose them after the photo is taken. 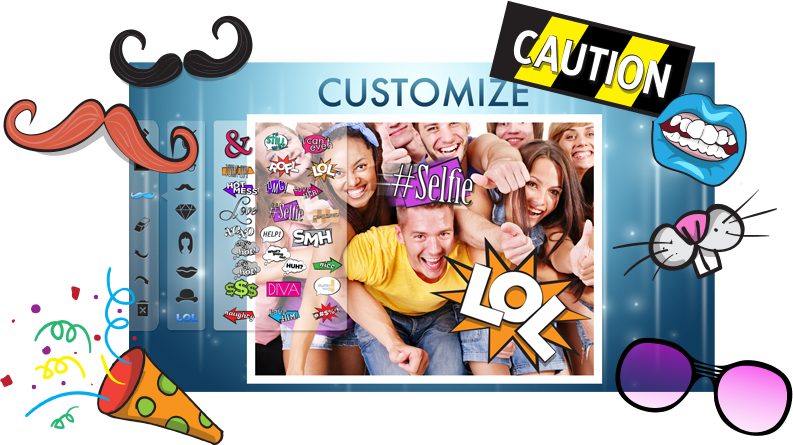 Pick the props from our digital prop basket that best fit the picture or add props to make it as zany as possible. Every one can be rotated and sized to your desire. We can even create customized prop baskets to fit your specific event. With unique, exciting and customizable Add Ons, you’ll have everything you need to make your event unforgettable! 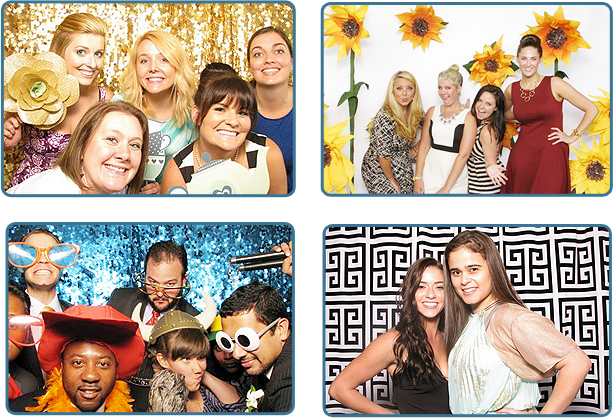 Every ShutterBooth office is different and, therefore, may offer variations of these options. Please contact your local office for specifics.